Bishop Young C of E Academy offers a broadly academic curriculum, with sights set firmly on the highest possible percentage of students achieving or exceeding their potential, and going on to further their education at university, college or on an apprenticeship. Through high expectations, expert teaching and targeted intervention, students from all beliefs, backgrounds and starting points will be able to achieve. Timetabled lessons are enhanced by a varied and motivational enrichment programme, creating a well-rounded educational experience for Bishop Young students, with the development of skills that will help them to succeed in further education and employment. The curriculum is tailored to meet the needs of our students and the needs of our local community. At BYA we place a great deal of emphasis on building the character of our students. We have audited the needs of our local community and merged this with the needs of our students. ‘We are family’ (Ephesians 2:19). We live in a diverse community and our school community reflects this with 21% of our students having English as an additional language. Our Curriculum includes projects that seek to address and promote diversity, encourage community cohesion and address language barriers. It is important to recognise that some minority ethnic families may have moved from stressful situations, for example, those of refugee and asylum seeker origin. Therefore, it is important that our curriculum teaches our students about cultural diversity, tolerance and respect. Aside from the challenges, EAL learners can bring a new dimension to schools. They can share experiences and cultures from other countries and bring an international perspective, helping their peers understand different cultures, people and points of view better. EAL learners also have extra language skills they can share and bring to the school and to the UK. Our curriculum needs to embrace the cultural diversity of our wider community. Our curriculum includes robust, forward thinking and creative approaches to the teaching of SMSC, British Values and modern citizenship throughout the curriculum and Bishop Character Days. As a Church of England School we have a dynamic and forward thinking Collective Worship offer which allows students of the Christian faith, other faiths or of none, to engage in invitational and meaningful worship. There is a greater understanding of the Christian faith delivered through form time, drop down days and an outstanding RS curriculum offer. We also ensure that there is meaningful exploration of the multi-faith society in which we live to create universal “Spiritual Literacy” both through academic curriculum and personal experiences during their school life. Our curriculum includes projects that seek to address both physical and mental health issues that affect our students and ultimately their life chances. It is focused on creating healthy and happy students who have a love for lifelong learning. We offer numerous opportunities and activities beyond the academic curriculum which are aimed at ensuring physical, social and mental wellbeing for all students. For example, Duke of Edinburgh, Anti Bullying Ambassadors, Stonewall Ambassadors. In both Key Stage 3 and Key Stage 4 we have dedicated two hours per week to PE lessons. We feel this is a necessity in enabling our students to develop their physical fitness and their social and mental well-being. Physical education helps students to develop the skills, knowledge, and competencies to live healthy and physically active lives at school and for the rest of their life. Students are empowered to participate in physical activity and understand how this influences their own well-being and that of others. By demonstrating the benefits of an active lifestyle, they encourage others to participate in sport, dance, exercise, recreation, and adventure pursuits. Physical Education is essential in our community if we are to tackle the issues of obesity, high mortality rates, preventable cancers and mental health. Our curriculum focuses on ensuring students have a positive attitude to life and learning so that they can create a sense of true wellbeing. We support all of our students to ensure they can access both our academic curriculum and our extracurricular offer. 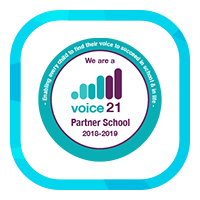 We ensure students are supported in overcoming their own internal struggle through mental health support and we offer bespoke, research based SEND support for all those who need additional consideration in order to excel in a school environment. Through this we ensure our students see what we see: a person imbued with limitless potential. Our curriculum includes projects that seek to get students into employment, training, volunteering opportunities or to learn new skills. Our academic curriculum is broad, balanced and ambitious. It creates opportunities for success for every student, regardless of their background, need or ability. We focus on unlocking the potential in all students through attitude intervention and support and we support students in developing better thinking habits about themselves, their self-esteem and their academic self-concepts. Students in every year group are offered the chance to participate in a wide range of trips and visits which develop their cultural capital and give opportunities for new and exciting experiences. We also offer clubs and societies which offer a broad and dynamic experience for students beyond their curriculum learning. These will allow students to explore their passions, skills and talents beyond the classroom and create a sense of awe and wonder. Our Student Charity Committee leads whole school support of various charities which embody the Christian values of the school. Each Cathedral supports a local charity which addresses greater social justice (homelessness, refugee/asylum seeker support, foodbanks, domestic violence) and a global charity empowered by faith. Through this our students have a greater awareness of life beyond Seacroft and the aspirations to make a difference to their local community and beyond. Character is a set of personal traits that produce specific moral emotions, inform motivation and guide conduct. At BYA we are dedicated to ensuring our students receive character education; this includes all explicit and implicit educational activities that help young people develop positive personal strengths called virtues. Character education is more than just a subject. It is about helping students grasp what is ethically important in situations and how to act for the right reasons, so that they become more autonomous and reflective. Students need to decide the kind of person they wish to become and to learn to choose between alternatives. In this process, the ultimate aim of character education is the development of good sense or practical wisdom: the capacity to choose intelligently between alternatives. It is central to a Christian vision for education for ‘life in all its fullness’ and is concerned with developing virtues seeing them as ‘character in action’, grown through experience and demonstrated over time in word and deed. Character education equips young people to grow in wisdom, hope, community and dignity and is shaped by an understanding of God at work in the world, present and active in shaping each individual’s developmental story. It is fundamental to the pursuit of academic excellence, and stands at the heart of all aspirational teaching, learning and pastoral care. At BYA character development is both taught and caught through lessons and the constant modelling of our six Bishop Characteristics for Character Development. These are bound together through the constant use of our acronym BISHOP. Through the development of these character traits we want our students to develop the quality of being well meaning and kind. We want our students to show compassion, consideration and altruism, ensuring they make a positive contribution to wider society. We help our students understand that integrity is not just about telling the truth. It is about being true to their beliefs and upholding them; it is about having pride in all that they do, always working to their true ability and behaving correctly to other people at all times. By becoming more self-aware our students will gradually develop a greater understanding of themselves as a person as well as their strengths and, perhaps more importantly, the areas in which they need to develop. They will gain a sense of self-fulfilment as they achieve their goals. In this complex world, it is critical to empower our young people to be happy, healthy and equipped with a powerful toolkit of resources to thrive. Our students need to understand the importance of physical, mental and social wellbeing if they are to become happy and successful citizens. 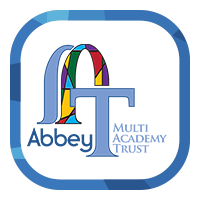 As a faith school, we can help foster tolerance, inclusivity and mutual respect. We develop a moral vision where students understand the importance of ethics in human life and communities, and the ability to share it with others. Our students must learn to live as one in order to create a tolerant society based on love and respect. We want our students to work hard to achieve success; being focused on the task in hand; tackling it conscientiously and diligently; having the resilience, tenacity and grit to keep going when others start to give up. 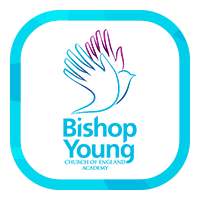 Throughout their time at BYA, students will be set challenges to develop their BISHOP character. For example, in Year 7 students will be expected to complete a 1 mile run to help improve their health and happiness. In all year groups they will be expected to complete 5 hours of community service (Integrity) and achieve 95% attendance (Perseverance). This will be monitored in students’ planners and by their form tutor. There is a celebration event at the end of the year to reward students who have completed all the challenges. Our PSHCE Programme mirrors our Bishop Character Education.We have 6 PSHCE days per year, with each one focusing on a different aspect of the BISHOP model.